I’ve been contemplating holiday crafts for Dave’s squadron’s Christmas party. I’m helping to set it up. I recalled doing God’s Eyes in Girl Scouts and Sunday school when I was growing up. With all these remnants of yarn hanging around from my HAP afghan rectangles, and a huge box of popsicle sticks in my craft drawer, this was an easy one for my kids! With standard craft popsicle sticks, these are perfect size for the Christmas tree! If you don’t have popsicle sticks on hand, just march out to the backyard and pick up two sticks! 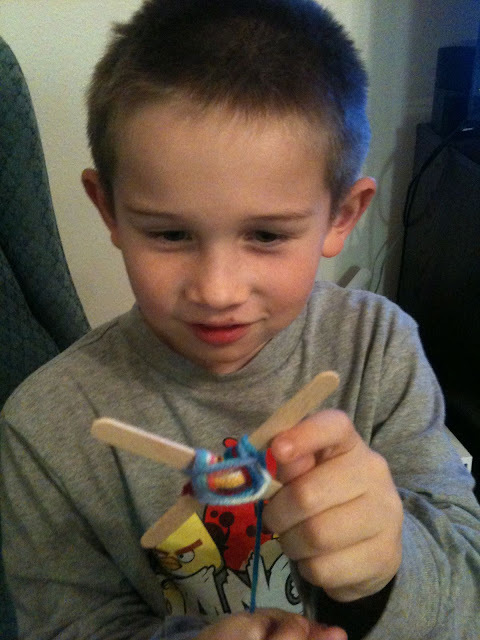 It’s fun to see my kids grow in dexterity and pick up on more difficult crafts! 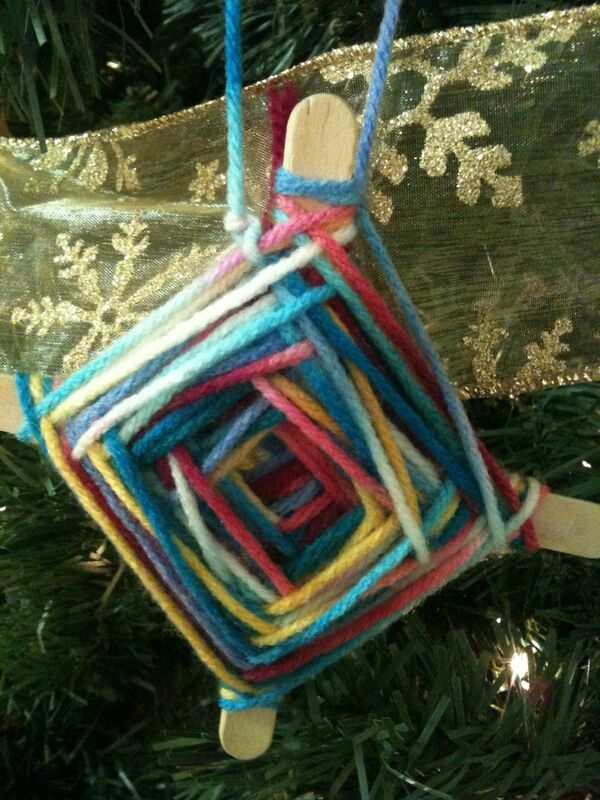 The kids “tested” out this craft with some multi-colored yarn, but I have a bunch of holiday colors for the party. Timmy’s alway been my “craft” kid, and he did most of one of these with a smile! This one is Jacob’s completed God’s eye. Hanging on the tree!